An appeal is an application to a higher court to reconsider the decision of a lower court. In all appeals, except appeals from the Local Court to the District Court, a party must convince the Court that the judge who heard the original case made an error of law and that the error was of such significance that the decision should be overturned. Asset forfeiture is a form of confiscation of assets by the state or federal government, pursuant to law. To demonstrate to the community that crime ‘does not pay’. Non-conviction (or civil) based recovery: Allows the restraint and recovery of assets suspected of criminal origins without the necessity of securing a criminal conviction. The NSW Crime Commission (NSWCC) recovers assets associated with indictable drug offences while the Director of Public Prosecution (DPP) recovers assets associated with other offences under the Confiscation of Proceeds of Crime Act 1989 (NSW) (COPOCA). The Bail Bill 2013 was introduced into NSW Parliament by the NSW Attorney-General on 1 May 2013. You can read the text of the Bill, and also the second reading speech. The Bill passed both houses of Parliament and was assented to on 27 May 2013. These new bail laws will include the removal of offence-based presumptions, a right to release for fine only offences (and most offences under the Summary Offences Act 1988 (NSW)) and an increase to the number of times a juvenile can make a bail application. improved guidance for police about their options when responding to a breach of bail. In considering the question of bail the authorised officer or court must consider the criteria in s 32 of the Act, which are mandatory and exhaustive: R v Hilton (1987) 7 NSWLR 745. The protection of certain people, including any person against whom it is alleged that the offence concerned was committed and the close relatives of any such person. The protection and welfare of the community, having regard to certain matters only. A committal hearing is a preliminary hearing held in the Magistrate Court to determine whether there is sufficient evidence for an accused person to be committed for trial or for sentence. If you are facing a committal, you have been charged with a serious offence, which is unlikely to be finalised in the Local Court. A committal is a hearing in the Local Court before the charge is heard in the District Court or Supreme Court. In the committal hearing a Magistrate decides whether the prosecution has enough evidence for your case to be committed for trial, or sentence. If there is enough evidence and the case is serious enough, your case will be decided by a Judge and a jury in the District or Supreme Court. You do not have to enter a plea at the committal. However, if you plead guilty your matter will be committed for sentence unless the prosecution decides that it can stay in the Local Court. If you plead not guilty or enter no plea your matter will be committed for trial. If you have been granted legal aid for your committal, it is a condition of the grant of legal aid that your legal representative attends a case conference. A case conference will give your representative and the prosecution the opportunity to work out whether your case will proceed to a trial or become a sentence. 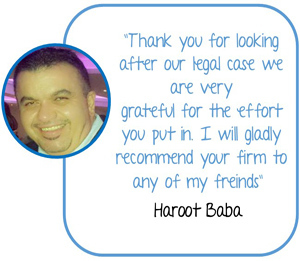 The case conference will only be carried out when your solicitor has taken instructions from you. Your case will only be committed for sentence if you decide to plead guilty. If you plead not guilty or enter no plea when you appear at a trial in the District Court or Supreme Court, a jury will decide whether or not you are guilty. Criminal record information is classed as ‘sensitive information’ in the Privacy Act 1988 (Privacy Act). Sensitive information is a subset of personal information that is given additional protections. Criminal records may also be covered by the Commonwealth Spent Convictions Scheme under the Crimes Act 1914, or by a spent conviction scheme in a relevant state or territory. The Australian Information Commissioner has the power to investigate breaches of the legislation and is also required to provide advice to the Attorney-General in relation to exemptions under the scheme. The Commonwealth Spent Convictions Scheme (the Scheme) allows an individual to not disclose certain criminal convictions after a sufficient period of good behaviour, and also prohibits unauthorised disclosure and use of this information. It covers convictions for less serious federal, state (including the Northern Territory and ACT) and foreign offences, with varying protections available according to which type of offence (federal, state or foreign) gave rise to the conviction. The Scheme also covers pardons and quashed convictions. A conviction for a State offence may also be covered by a spent conviction scheme in the relevant State or Territory. There are some exclusions to the Scheme, but they are very limited. Where an exclusion applies, an individual will not have the right to withhold information about a conviction that would otherwise be spent. An individual who believes that a person or a Commonwealth or State authority has breached the provisions of the Scheme can complain to the Office of the Australian Information Commissioner (OAIC). A criminal case is a case to decide whether a person who has been charged is guilty of a crime or other offence with the majority of criminal cases in NSW first come before the NSW Local Court. Juries are not used in the Local Court. Less serious criminal cases, sometimes called summary cases, are typically dealt with by the NSW Local Court alone. Less serious criminal cases include those where a person has received a penalty or infringement notice or a fine and has chosen to have the matter heard by a court. Most Local Court criminal cases are determined by a magistrate. If you are on bail, you must attend court unless the court has excused you. If you are not on bail, you can choose not to attend court if you file a written notice of pleading. You can read more information about submitting a written notice of pleading in Going to court for a criminal case. The person alleged to have committed the offence will enter a plea of guilty or not guilty. If a plea of guilty is entered, the court will decide the penalty to impose and the case wil be finalised. If a plea of not guilty is entered witnesses will be called to give evidence. A magistrate will decide if the person is guilty or not guilty. If the person is found to be guilty the court will decide the penalty. There are serious crimes that cannot be finalised by the Local Court. In these cases, the Local Court will conduct a hearing called a committal hearing. The role of the magistrate in committal hearings is to determine whether the prosecution evidence is capable of satisfying a jury, beyond reasonable doubt, that the accused person has committed an indictable offence. If the magistrate is satisfied that the evidence is capable of satisfying a jury, the person is committed for trial or sentence to a higher court (either the District Court or the Supreme Court, depending on the offences). Cases committed to a higher court are then determined by a judge and jury. Private investigators provide investigative and legal support to government agencies, corporate entities and the public. They occupy a critical place in the judicial system in terms of investigations, service of legal documents and recovery of assets wrongly obtained. Commercial inquiry: Including undertaking liability and workplace investigations, pre-employment checks etc. Domestic investigation: Including checking partner fidelity in personal relationships, abducted child recoveries and missing person enquiries. 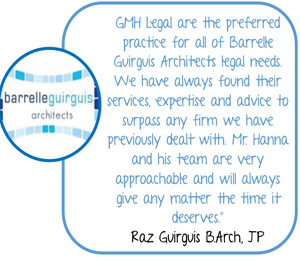 At GMH Legal, we believe that a private investigator can be a valuable asset to your defence. Please do not hesitate to contact us if you wish to further discuss their role in the conduct of an investigation. Despite what the police might say, being charged by the police with an offence does not mean that you will be found guilty of that offence. It is also true to say that police are human and do make mistakes. In some cases they may be bound to take action against someone even though they would prefer not to and in other cases they may be biased or act illegally. The criminal law recognises that certain acts should not be followed by criminal proceedings or at least should not lead to a conviction because of the presence of some specific factor or circumstance. A fundamental reason why the criminal law contains a number of defences is because criminal law is not a tool for vengeance but instead one of the means of attempting to ensure the peaceful existence of a community. Where a defendant successfully raises a defence, he/she is found not guilty or is convicted of a lesser sentence. Below you will find information with regard to most common criminal law defences that apply in New South Wales. They each highlight circumstances in which either no criminal liability should be attached (a complete defence) or criminal liability should be reduced (partial defence). Family violence is a serious social issue that affects everyone in a family- children, parents and other members of the extended family. 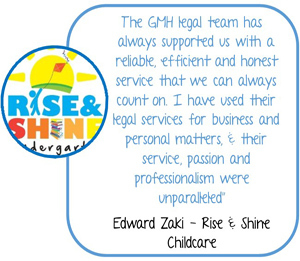 At GMH Legal, our role is to ensure that clients have access to accurate and consistent information about family and domestic violence including the range of support and services available to them. Everyone at a crime scene leaves some material such as a hair, body fluid, fibre from clothing and other signs. Taking DNA samples or fingerprints from a victim or a suspect can greatly assist the Police with their investigation. GMH Legal’s solicitors are often required to appear for our clients who are before the Local or Children’s Court for an application for an order for forensic procedure. This is an order that is sought by a specified police officer (“the authorised applicant”), authorising the taking of a forensic sample from a person who is referred to as the “suspect”. This chapter of our website also deals with scenarios when prosecution seeks to lead evidence of the comparison of DNA material found at a crime scene, or other relevant place, with DNA taken from a suspect with their consent by a police officer pursuant to Part 3 of the Crimes (Forensic Procedures) Act 2002 (NSW) (‘the Act’). The admissibility of DNA given to police by consent can still be contested as the legislative scheme in relation to forensic procedures undertaken with consent by police officers is almost as complex and mandatory in its terms as that governing the making of coercive orders by senior police officers or Magistrates. Importantly, the ‘consent’ given under Part 3 should not be confused with the consent known to the law in general. The consent given under Part 3 is rather a creature of statute, deemed to exist only when a range of statutory pre-conditions and tests are met. In circumstances where the legislative requirements are not met, either the consent never existed in the first place, or the police action in seeking or acting on the consent was without power. The following section will you a brief presentation of the correctional system in New South Wales. 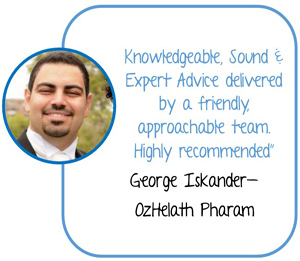 At GMH Legal we have a team of dedicated criminal lawyers with a vast experience in dealing with inmates in prison. You have had requests to see a doctor refused after writing to the General Manager of the prison. In general term, personal violence offences may be differentiated according to the degree of harm inflicted upon the victim and the intention of the offender, ranging from common assault to those offences where the offender has the intention to inflict a particular type of harm. Offences of personal violence cover a wide spectrum of behaviour and consequences. Such offences are viewed very seriously by the courts. Certain objective aggravating factors frequently arise in the context of personal violence offences. If you go to Court and the Court says you have broken the law, you will be convicted. The Court will tell you what happens next, whether you go to jail, pay a fine or are placed in probation. Imprisonment is the sentence of last resort. A Court should only sentence an order to imprisonment if it is satisfied that none of the above penalties are appropriate. The underlying philosophies driving the development of alternative sentencing are the potential social benefit of community based sentencing, the effective diversion of less serious offenders from prison, the containment of overall correctional spending on full-time custodial inmates, and the need to develop more flexible sentencing systems. The main roles of the NSW Police Force are to prevent, detect and investigate crime, to monitor and promote road safety, to maintain social order and finally to perform and coordinate emergency/rescue operations. Police have a lot of powers to help them carry out their work. These powers are governed by the Law Enforcement (Powers and Responsibilities) Act 2002 (LEPRA). Under the LEPRA 2002, in order to make an arrest, a police officer has to be satisfied that ‘arrest is reasonably necessary’. Previously, there had to be a factual basis for suspicion before an officer could make an arrest without a warrant. To enable enquiries to be made about a person’s identity, or if they believe that the identity information given is false. To prevent a person fleeing from police officers or the scene of a suspected crime. To protect the safety and welfare of any person. To preserve evidence of the offence or prevent evidence being fabricated. For reasons of the severity or nature of the offence. To prevent harassment or interference with anyone who might give evidence in the matter. To obtain property in relation to an offence that is in the possession of the person being arrested. Prior to these amendments being brought into effect, police had much more limited powers of arrest. There had to be a factual basis for a reasonable suspicion that a person had just committed an offence, was in the act of committing an offence, or was about to commit an offence before they could be arrested. We hope the following information will help you understand these powers and what rights and responsibilities you have in different situations. Section 10 of the Crimes (Sentencing Procedure) Act 1999, commonly referred as ‘a section 10’, allows a Court to discharge you without recording a conviction when you are found guilty of an offence. Section 10 provides a useful safety valve for ensuring that justice can be served in circumstances where, despite a breach of the law, there are such extenuating circumstances or the matter is so trivial that punishment does not seem appropriate. Section 10 Crimes (Sentencing Procedure) Act 1999 enables a court, upon a plea or finding of guilt, to order the dismissal of charges without proceeding to record a conviction. The order can be made with or without conditions. A good behaviour bond ordered under s 10(1)(b) is limited to a maximum period of 2 years, whereas a good behaviour bond imposed under s 9 may extend to a maximum period of 5 years: s 9(2). A conviction is recorded against an offender under s 9 but it is not under s 10(1)(b). 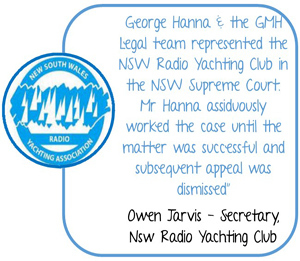 As a “general proposition” the fact that a conviction is recorded is a matter of special significance. However, the fact that a conviction is not recorded should not dilute or downgrade the significance of the imposition of a section 10 bond. There are onerous consequences if an offender fails to comply with a s 10(1) bond and it should not be assumed that because the court has decided not to record a conviction that the sentence is automatically inadequate or lenient. Being convicted of a white collar crime can have deleterious effects on your financial well-being, range of employment opportunities, capacity to obtain finance, ability to engage in entrepreneurial activities, reputation in the community, family relations and possibly your capacity to act as a director or officer of a company. Breaches of corporate laws and regulations carry potentially heavy penalties and possible terms of imprisonment. However, with the right legal representation, such offences can be successfully defended. If you believe that you may have breached a law or regulation in your role as a director or employee of a company, or have otherwise committed a ‘white collar crime’, you should retain the services of one of our expert lawyers. We have the experience and skill required to advise you on the best course of action you can take to ensure your commercial interests are protected and your legal risks are minimized. In the case that you have already been charged with an offence, we will guide you through the process of preparing a solid defence in a timely and responsible manner, within the confines of the law. 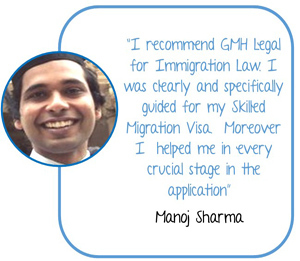 At GMH Legal, we can provide you with effective legal representation that will ensure you receive the best possible result in the circumstances, or in some cases, we can seek a negotiated outcome which is acceptable to you and the other party involved.